The bottle stands 4 inches tall, wide mouth and original labels. Bottle is empty and in excellent condition. 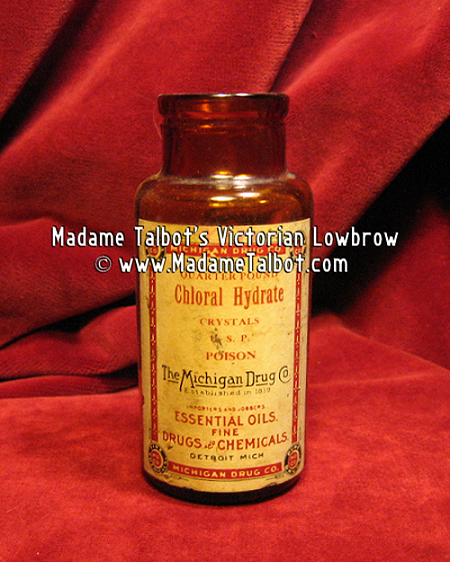 Chloral hydrate is a sedative and hypnotic drug that can be quite addictive.